You say “there are no secrets; there is simply a change in process and a change in thinking if you are going to succeed…” You look at indie publishing as a business. How important is that to being successful as a writer? Martin: It’s the difference between hopeful optimism and consistent earnings. I’m finding the longer I do this the more time I spend planning, and it’s making things easier. I plan my promotions months in advance. I keep a spreadsheet that charts how I did during previous promotions. I have a list of bloggers who I work with as well as lists of promotion sites, twitter hashtags, etc. I keep those listed on www.martincrosbie.com under “Author’s Tools” so that other writers can take advantage of them. And, I’m in the process of adding a list of places where you can access free photos and pictures as well as lists of places to submit your book to reviewers. It’ll all be on my website in the “Author’s Tools” section shortly. Although it may sound like a lot of work, once you have those lists established and the processes in place it cuts down on the time you’re spending not writing. And, the change in thinking happened for me when I realized that there were a lot of very good books that weren’t being read. It isn’t enough to just write a great book. That’s certainly the most important element and without it nothing happens, but it’s more than that. You need to approach your writing career as just that – a business where your goal is to connect with readers. That doesn’t mean abandoning the muse and spending all your time formulating spreadsheets and poring over forums and blogs, balance is still very important, and writing should always come first. But, it does mean taking the time to know the industry that you’re involved in and doing the things necessary to brand yourself and market your work. You also believe in a “Pay it forward” policy. One of the things you wrote is, “share information, help promote others’ work that you believe in, and generally help each other.” How important is this philosophy to your success as an author? Martin: I’ve never been involved in an industry where information, especially information that helps you connect with readers, is more freely shared. I absolutely love it. I had lots of help early in my career, and I try to pay it back and forward as much as I can. Now, having said that, it doesn’t always boomerang and come back to me, but many times it has. I’m a believer in positive energy. I truly believe if you send out positive energy then that’s what you’re going to get back. That’s what I try to do, and so far, it’s working. You use several processes to ensure your books are error free, and the best they can be. Specifically, you mention using beta readers, copy editors, and proofreaders. Talk to me a little bit about beta readers. What exactly are they? How does an author go about finding beta readers? And, how can they help you improve your work? Martin: Beta readers have quickly become an integral part of the process for writers. My first beta-readers were friends of my sister who I did now know. Now I utilize beta reader groups on Facebook or LinkedIn to find test readers for my new works. And, I’m contacted from time to time by readers who want to help too. Beta readers are exceptional people. They take delight in finding new authors or works that they believe in. I’d be absolutely lost without them. Everybody says you need an author website and a blog. You say, “Readers are looking at places where there are books, not at author websites.” I know Steve Scott says he directs most of his traffic to his Amazon Author page because that’s where readers can purchase his books. You seem to agree with this strategy? How important is it to keep an up to date dynamic presence on Author Central? Martin: One of the challenges with writing a book that helps authors succeed in self-publishing is that the world changes and in Indie world it changes quickly. When I released my self-publishing book the information in the book was absolutely current, but as quickly as three months later it was already becoming dated. The basic philosophy and start-up processes remain the same, but some of the marketing strategies had. So, I changed the content of the book. I updated the content and asked Amazon to alert previous purchasers that there was an updated version (which they did). 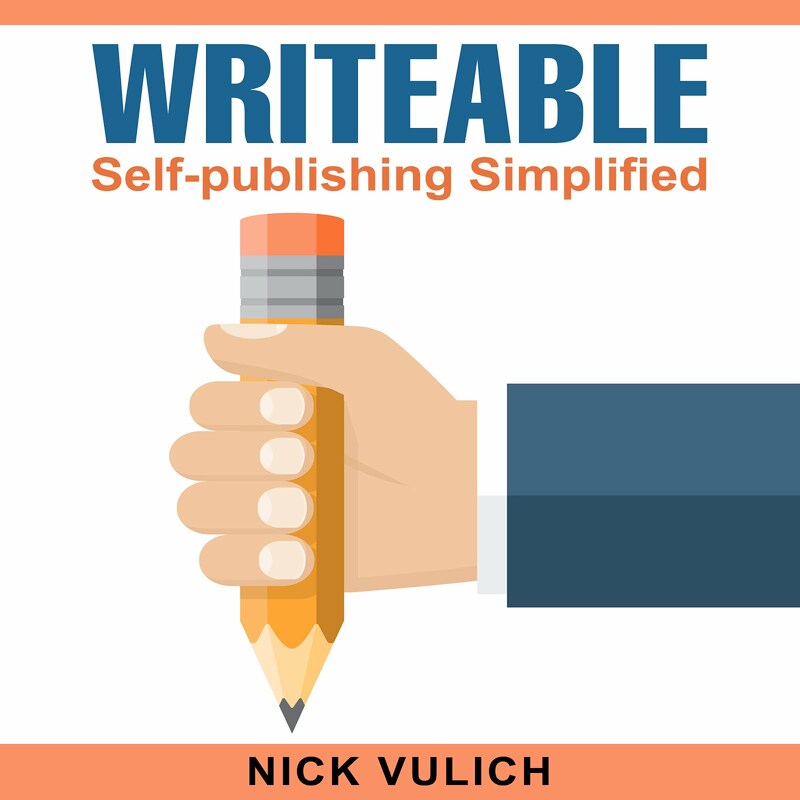 The current version, in my opinion is the most current information on the market in terms of helping authors connect with readers in a professional, cost-effective manner. There will be an even newer version updated this summer and in it I plan on talking about author websites. My thinking has changed in that regard. As an author I now want to talk about more than just my books and the process. I teach workshops, I speak at writers groups and festivals, I will soon have teaching videos available, I blog a few times a month, and as mentioned I have free lists of resources to offer authors too. I can no longer effectively do that through my Amazon Author page. There’s just too much information. So, for the past few months I’ve had a very talented web person re-do my website. So, although your author page is very important I now believe that having a central area where you can direct your readers, one that is strictly yours, is important. Many authors overlook print. They look at Kindle as the end all, the best solution to publishing. I know in my case I couldn’t make a living writing until I put my books in print using CreateSpace. Why do you think authors elect to pass over print when they publish their books? Martin: I don’t know why authors wouldn’t take advantage of CreateSpace. As you know, Nick, it really doesn’t cost anything to release a print book. And, there’s nothing like holding a print book in your hands. Although the majority of my sales are e-books, I still sell print books, especially my self-publishing guidebook. One thing I like is that you don’t look at any book as dead in the water. What is it you said, “Fortunately, you can resurrect them. You can start all over again and take another stab.” I think you had to do that with your first book, My temporary Life before it took off on its road to becoming a bestseller. Can you talk a little bit about how an author can breathe some new life into a seemingly dead book? Martin: Fortunately, the problem with My Temporary Life wasn’t the content. I didn’t have to change that. The problem was the way I was presenting the book. I had a cover that wasn’t indicative of the story, a blurb that had no snap, and I wasn’t utilizing Amazon’s tools. When I did those things and presented my product in a more professional manner, I was able to find readers. As I mentioned earlier, there are a lot of good books out there that are not being read. Sometimes all it takes is some tweaking, and you can find those (sometimes) elusive readers. You posted a blog on Indies Unlimited concerning Kindle Count Down Deals. It didn’t appear that they were a great experience for you. You also talked about KDP Free Days not being what they used to be. What’s your take – Free, or Count Down Deals? What’s the best choice for authors? Martin: Aha, that’s the question we all want answered! Currently, I am seeing results utilizing Kindle Countdown Deals through KDP Select. I run a three-day promo with my book at 99 cents, and I supplement the promo with an ad on Ereader News Today, Kindle Books and Tips or Bookbub. As you know Nick, ENT takes 25% of your royalties from the promo day and day after, FKBT has two price levels beginning at $25, and BB pricing is in the hundreds of dollars. From what I can determine, free giveaways don’t seem to be effective right now unless you have a series of books and give away one of the books in order to experience sales of the others. I hope to be able to run a free promo again as I’ve had great success with them in the past. That’s why I’m trying to complete the last book of my trilogy and the next book in a series that I’m writing. I ran across this quote in your book and would like your take on it. "Everything leads to something else, and you never know who might be reading your work or watching your career." A lot of authors I've talked with, famous and not so famous, have echoed these sentiments. Some of the best things in life happen when you're not really expecting them. We talked about this earlier, with your thoughts about "Paying it forward." Can you talk about a situation like this that has played out for you? Martin: Yes, I’d love to talk about this. I have a workshop that I’m teaching this weekend and to help spread the word I’ve visited a lot of writers groups. I’ve spoken at groups where there were four or five members and some where there were packed rooms. I also blog or write articles for anyone who asks, no matter how small or large their following is. In fact I now have a tab on my website offering my services, with testimonials from some of the folks I’ve written for or spoken to their groups. Almost each time I’ve reached out and done something another opportunity has presented itself and with each opportunity I’ve made friends who have the ability to help me. I have friends who I count on as part of my support group and I’ve met them from extending my virtual hand and asking what I can do to help. The most significant opportunity came recently. I haven’t announced it yet but I will be opening the prestigious Whistler Readers and Writers Festival in October. I’ll be teaching a one day workshop on self-publishing. It’s a very progressive move for the festival and a great opportunity for me too. And, that came about because I was taking my career seriously and approaching it as a business, paying it forward and trying to help others. 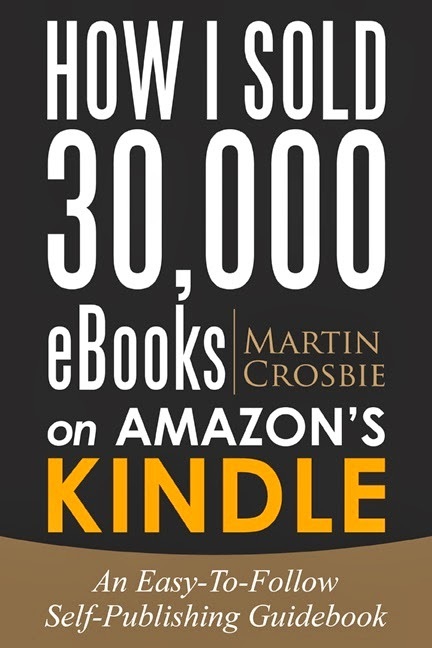 In a press release, Amazon called Martin Crosbie one of their success stories of 2012. 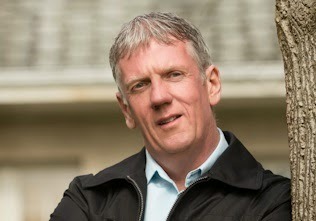 His self-publishing journey has been chronicled in Publisher's Weekly, Forbes Online, and Canada's Globe and Mail newspaper. 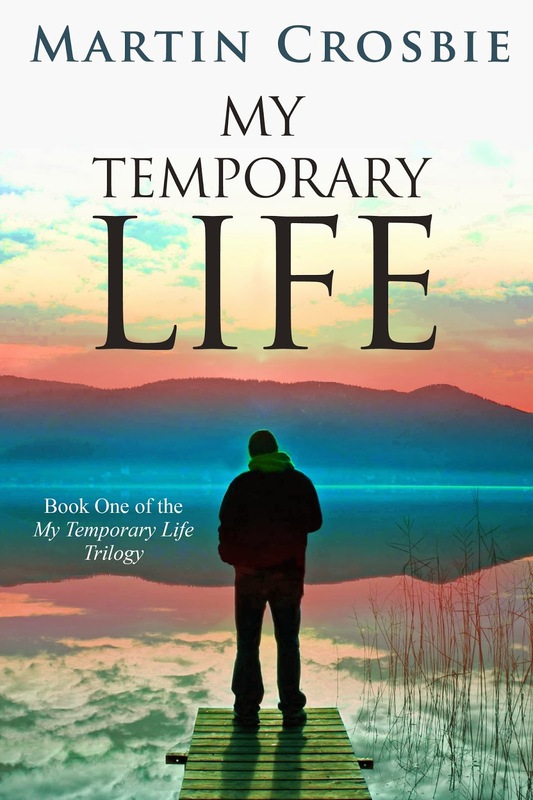 Martin's debut novel, My Temporary Life has been downloaded over one hundred and fifty thousand times and became an Amazon top ten overall bestseller. He's also the author of My Name Is Hardly - Book Two of the My Temporary Life Trilogy, Lies I Never Told - A Collection of Short Stories, How I Sold 30,000 eBooks on Amazon's Kindle - An Easy-To-Follow Self-Publishing Guidebook, 2014 Edition, and Believing Again: A Tale Of Two Christmases. You can learn more about Martin on his new and improved website www.martincrosbie.com, follow him on Twitter @martinthewriter, or email him at martin@martincrosbie.com. Love the interview Nick and Martin! very educational and inspirational. I hope you both have a wonderful week! Thanks Wendy and Charles, and thank you too Martin for putting the extra effort into answering my questions. I'm sure they will help many authors out.